Michelle Richardson, State Tested Nurse Aide (STNA) at ManorCare Health Services, Barberton, Ohio, has been selected by the Ohio Health Care Association (OHCA) as its Hero of Long-Term Care for August 2018. 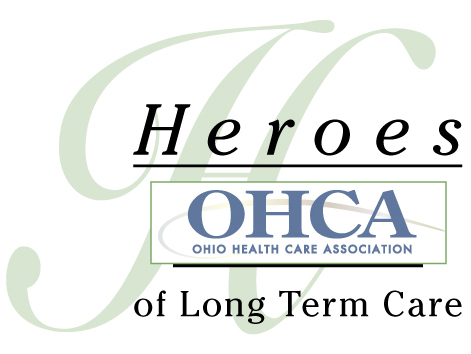 OHCA honors one long-term care employee each month for their service to long-term caregivers, residents and the community. Richardson will be featured on the OHCA website (www.ohca.org) during the month of August, and will be recognized at the Association’s 2019 Annual Convention in Columbus, Ohio. 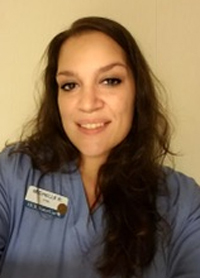 Miranda James, LNHA, Licensed Nursing Home Administrator at ManorCare, says that Richardson is passionate about serving the facility’s residents and the community. Her co-workers describe Richardson as a team player who is always willing to help, and is a great mentor to new staff members. She will often pick up extra shifts to ensure the residents are receiving the best possible care. Located less than half a mile from Summa-Barberton Hospital on Third Street Southeast in Barberton, ManorCare provides post-hospital skilled nursing care in a comfortable environment. Clinical and therapy teams are experienced in providing specialized care focused on residents’ needs, interests and ability. The facility offers a range of skilled care and rehabilitation services to meet residents’ health care requirements. The facility is located at 85 Third St., SE, Barberton, OH 44203, 330-753-5005. Additional information is available online at www.heartland-manorcare.com/locations/manorcare-health-services-barberton/. The Ohio Health Care Association is a non-profit association of more than 900 skilled nursing facilities, assisted living communities, and providers serving people with intellectual and developmental disabilities, representing nearly 90,000 individuals. Many OHCA members also provide a variety of home and community-based services. OHCA is the largest long-term care association in the state, and the only chartered Ohio affiliate of the American Health Care Association, representing more than 12,000 long-term care facilities nationwide. . . .